mega pumpkin event draws people from in state and out of state to this amazing visual bonanza of fun. RI real estate can be seen in a most unique setting. It was the creative genius of John Reckner, a Massachusetts native, who 20+ years ago started the idea brewing. What you see as you walk through this zoo trail are over 5000 carved pumpkins which are all lit up. Every year has a theme and this year it's called the "All the Worlds a Stage"...carvings depicting the Hollywood themes and Broadway shows. All this with the background music of the production playing! Imagine that Mr. Reckner and about many workers carve 10,000 pumpkins for the month they are on display (through November3rd)! The most intricate pumpkin carvings are done by a team. It's a lot of pumpkins and many manhours for these artisans. Mr. Reckner obviously gets such pleasure with the joy and amazement that he brings to so many fans year after year who return to this Jack-o-Lantern spectacular. You just can't miss this Jack-o-lantern spectacular if you live anywhere within driving distance of Providence, RI. Even from Massachusetts and Connecticut travelers come to view this annual pumpkin event. It is open nightly through Halloween night beginning at 6 pm (be aware that weekends have long lines) and going until 10 pm for a cost of $12 for adults and $9 for children (Fridays & Saturdays cost $1 more per person). Direct information can be obtained on this event by calling 401-785-3510 or on line at www.rogerwilliamsparkzoo.org. So wear your comfy shoes and bring your friends or kids, cameras a MUST and make it a nice night out around the Providence scene (since Waterfires can be caught on October 6th!). This is one Pumpkin Spectacular at Roger Williams Zoo, Providence RI extravaganza you can not miss. So as I go home and look at my lonesome carved pumpkin, I am so disappointed that my artistic talents are not where the guru pumpking carver would even consider acceptable...visit the Jack-O-Lantern Halloween Spectacular . This is a public service blog brought to you by your RI Realtor in the Sparkly Red Shoes, Ginny Lacey Gorman at 401.529.7849. 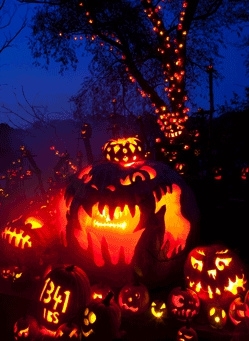 Pumpkin Spectacular - Jack o Lanterns - Roger Williams Park Zoo. 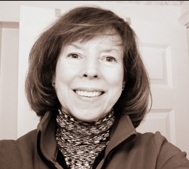 Ginny Lacey Gorman is a North Kingstown Realtor who works and knows the North Kingstown RI geographic area of homes for sale, schools, happenings and important tidbits of information well. Waterfront, water view, ocean front, luxury and coastal Rhode Island real estate are my specialty. If your considering Buying, Selling or Relocating to Rhode Island and need a real estate Professional it would be my pleasure to help you! When you are in need of an internet savvy RI realtor® who sells homes in this real estate market, call Ginny today at 401.529.7849.